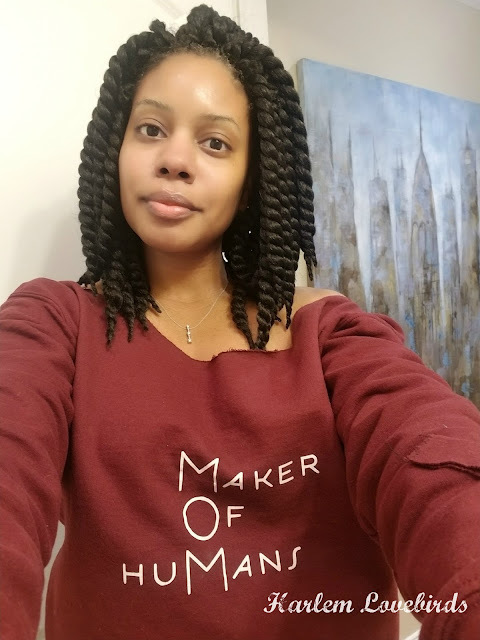 Disclosure: This is a sponsored post on behalf of Comcast. All opinions expressed are my own. 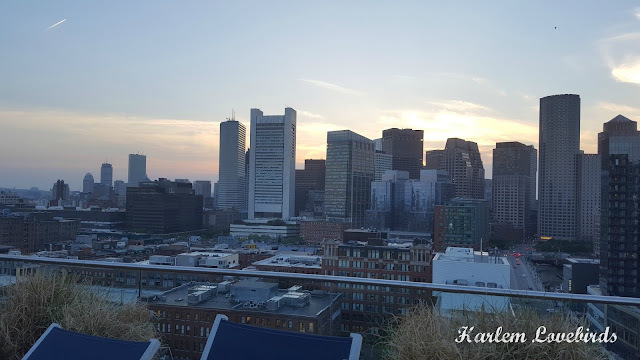 A lot has changed in Boston since I lived here almost 10 years ago and as I approach the 1 year anniversary of my return it was fitting to be down on the Boston Waterfront last week as a guest of Comcast. 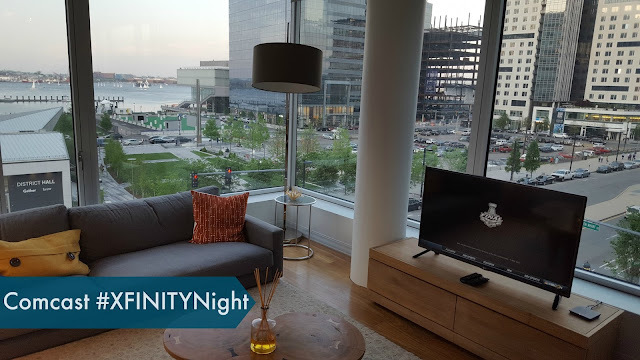 I was there to learn about their latest Xfinity developments for helping customers manage screen time and online security, something I'm concerned about now that both of my children have devices and the transforming waterfront was the perfect metaphor for all the changes coming to Xfinity. I was most excited about this app as it's free to all customers AND is available for not only iOS but Android out of the gate. 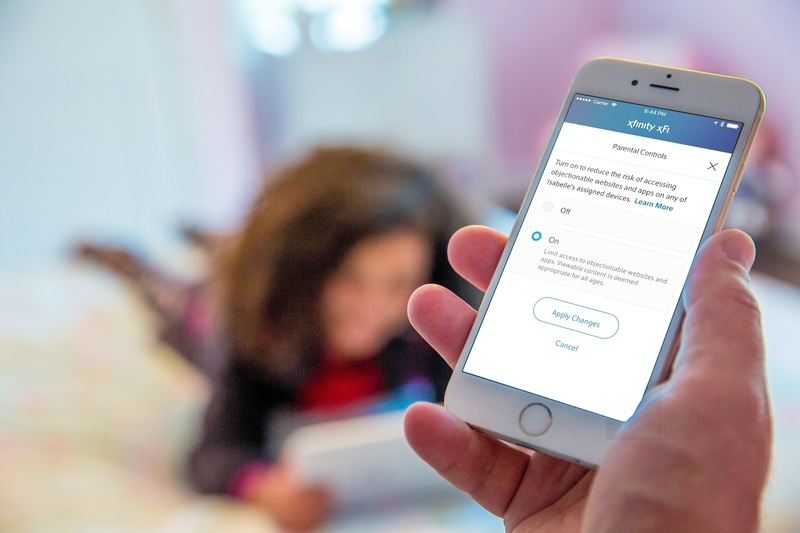 I downloaded it on the spot, and it provides a simple dashboard that allows you to not only see all devices connected to your Wi-Fi but control access even setting shut-off times which is perfect for cutting off kids' access during dinner hour and when guests are over. No more worrying about kids accessing the internet in the middle of the night, a concern for us when we have sleepovers. It allows certain devices to remain on, however, and you can even use the X1 remote I mentioned here to use voice control saying, "Show me devices" which will display on the big screen. 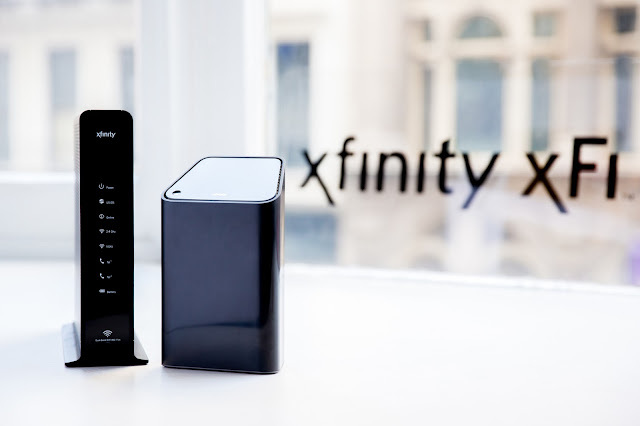 The Advanced Access Gateway, pictured on the right, is capable of delivering gigabit per second speeds when they become available over Wi-Fi within the home, supports voice, home monitoring and automation applications as well as working seamlessly with extenders to boost the signal strength throughout certain areas of the house. It even works with X1 and works to monitor device health and usage. 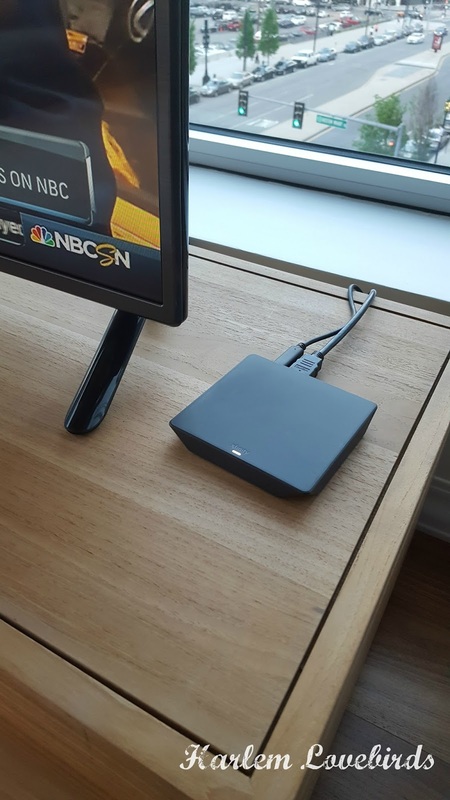 This wireless cable box is definitely a game changer from an aesthetics perspective helping to eliminate the need to position your TV around a port - no more having to snake that white cord all along the baseboard! It supports HDR but not 4K yet, which is fine for us as we're not quite ready for 4K. A lot of the newer technology rolls out here in Boston metro first so I'm waiting patiently to give this a try. 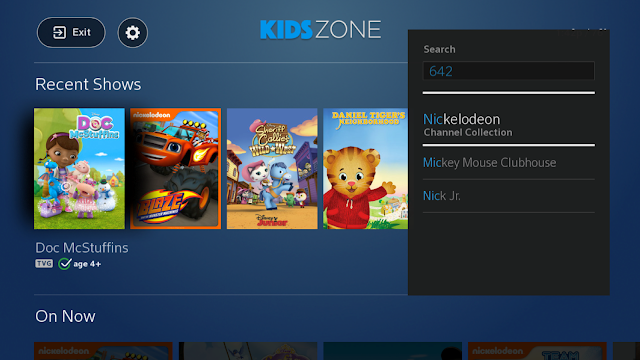 The Kids Zone continues to be a favorite of my family's and coupled with the voice remote it's so easy for them to use. Another feature we like is that Common Sense Media ratings and reviews are integrated directly into the TV helping us determine age-appropriate programming. I love it when technology has parents in mind! Thank you to the Comcast team for helping me learn more about how to manage screen time this summer and for a beautiful evening - it turned out to be a perfect ending to Boston's record breaking 90+ degree heat that day. To learn more about Comcast Xfinity and to keep up to date with their latest product offerings and promotions visit their website and be sure to follow on Facebook too. How are you planning to manage screen time this summer?